Carpal Tunnel Syndrome Prevention Showing Correct vs. Incorrect Use of a Computer Mouse. 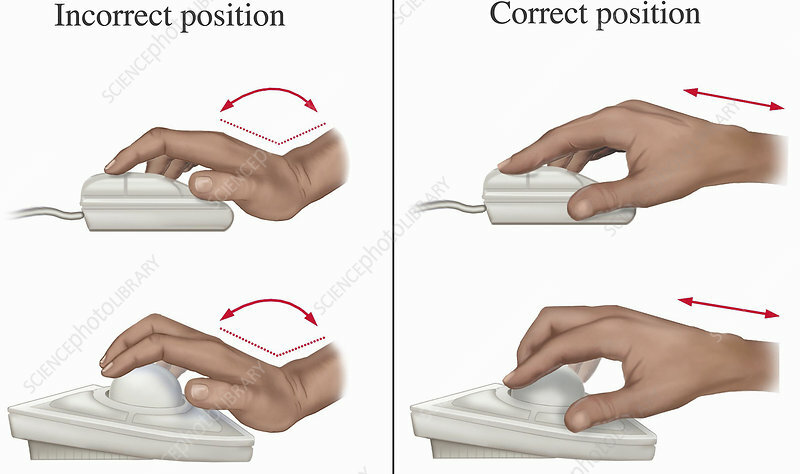 The first pair of hands show the correct and incorrect hand positions to avoid carpal tunnel syndrome when using a mouse.